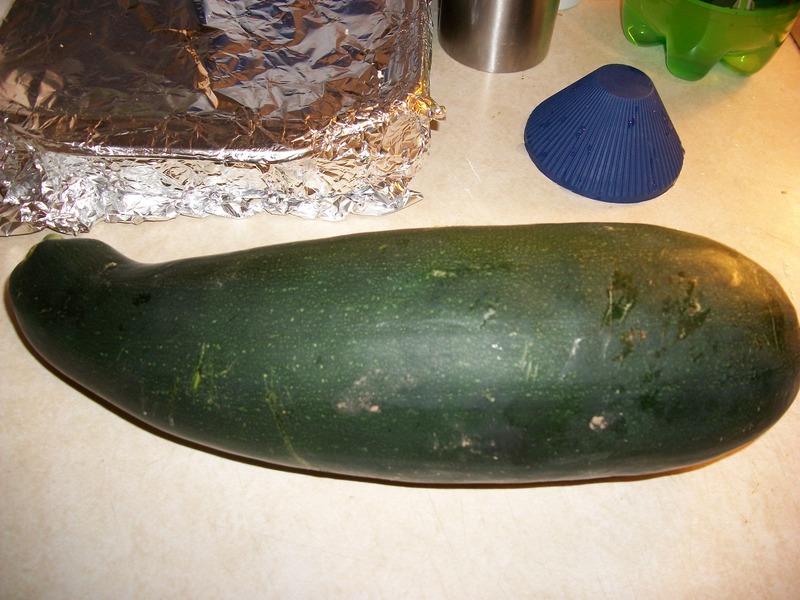 I was gifted some very large zucchinis this week. We love zucchini bread at our house but we’ve been trying to cut out the white flour and granulated sugars from our diet. So, thanks to Google I found a really great recipe from Lemonbasil for 100% Whole Wheat Maple Zucchini Bread. The results? Fantabulous! A moist, slightly sweet and refreshing summery quick bread. I love that you can type anything that you want into Google and find a good recipe. None of our South Beach Diet books had a recipe for whole wheat zucchini bread, so this was a welcome surprise. It came out a lot better than other recipes we have tried. I’m sure you can substitute applesauce or a mushy banana in place of the butter if you want to remove some of the extra fat and calories. We decided to switch out the coconut oil (it can be kinda pricey and hard to find) with canola oil. We have lots of maple syrup in our cupboards from Vermont, but if you can’t find the real thing in your area, try molasses instead. If you like zucchini bread or just would like to try it now that it’s in season, this recipe is a must! Plus, it has all the benefits of whole wheat flour. So, go ahead and splurge on that second slice already! In a large bowl, beat eggs, butter, oil, lemon zest, lemon juice and syrup together. In a separate bowl, whisk the flower, salt, cinnamon, baking soda, and baking powder. Stir in the dry ingredients into the wet. Fold in the zucchini. Pour batter into two greased 9-inch loaf pans. Bake 50 minutes or until a toothpick comes out clean. Enjoy! 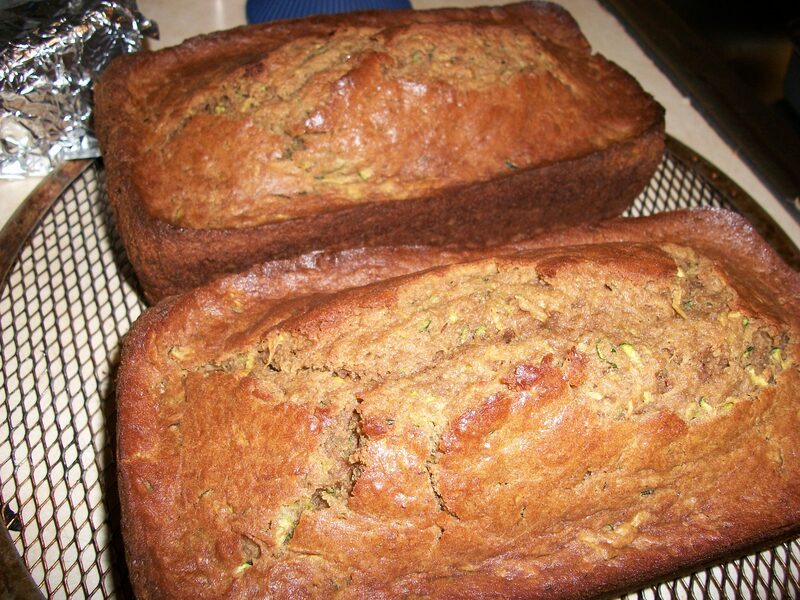 This entry was posted in Recipes and tagged coconut oil, Google, Lemonbasil, maple syrup, quick bread, South Beach Diet, Vermont, zucchini by Christina. Bookmark the permalink.